We are registered under the Data Protection Act 1998 and as such, any information concerning the Customer and their respective Customer Records may be passed to third parties. 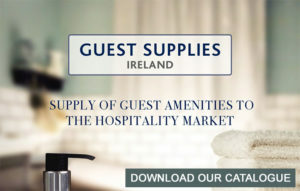 However, Customer records are regarded as confidential and therefore will not be divulged to any third party, other than Guest Supplies Ireland are legally required to do so to the appropriate authorities. Customers have the right to request sight of, and copies of any and all Client Records we keep, on the proviso that we are given reasonable notice of such a request. Clients are requested to retain copies of any literature issued in relation to the provision of our services. Where appropriate, we shall issue Client’s with appropriate written information, handouts or copies of records as part of an agreed contract, for the benefit of both parties.